Get to know Rome’s ancient and baroque treasures without boring the kids on a private tour designed just for families with school-aged children. Put away the guidebook and let a specially trained guide show you the best of the Eternal City, sharing entertaining legends and revealing hidden secrets along the way. 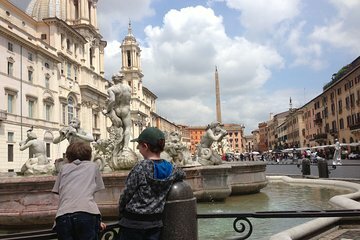 Age-based activities like treasure hunts and art projects keep young travelers engaged, and everyone will enjoy a sweet gelato reward in famous Piazza Navona.